All were instructed to keep to public land and photograph the area as they would on a normal day. The event aimed to test the policing of public and private space by private security firms and their reaction to photographers. All six photographers were stopped on at least one occasion. Three encounters led to police intervention. Directed and Produced by Hannah White for the London Street Photography Festival, Edited by Stuart York. 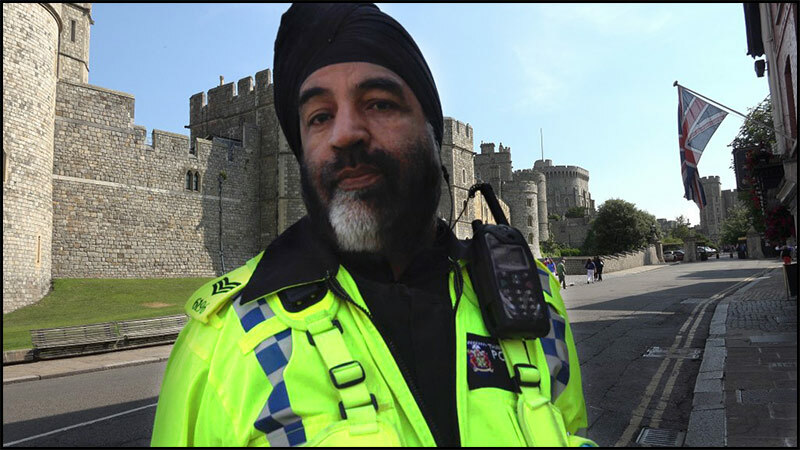 “I was in Windsor, Berkshire, close to the Castle, a major tourist attraction, shooting with a Sony AX100, a compact consumer handycam. I was using a small 3 stage tripod and I was standing on the public right of way pavement shooting the castle. I had arrived in Windsor early to avoid the worst of the crowds. HDW : Once again this public space nonsense raises it’s ugly head with very ill informed security staff telling photographers that they cannot take pictures of a public building as its “private”. This is a great demonstration of how stupid certain security staff can be and their total lack of knowledge for the law as it stands. The rules of the UK for filming and photography… If you are on a public space you can film and photograph what you like, the general public do have the right to ask you not to photograph them or their family members but the taking of photographs of children in public spaces is not illegal. 4.37. There have been a number of instances highlighted in the press where officers have detained photographers and deleted images from their cameras. Andy Trotter has written to all forces to remind them that officers and staff that they should not prevent anyone from taking photographs in public. 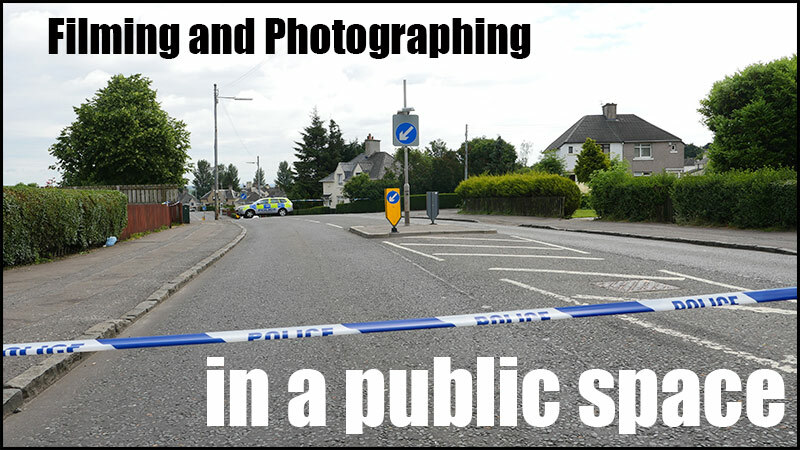 This applies equally to members of the media and public seeking to record images, who do not need a permit to photograph or film in public places. 4.38. ACPO guidance is as follows:● There are no powers prohibiting the taking of photographs, film or digital images in a public place. Therefore, members of the public and press should not be prevented from doing so. ● We need to cooperate with the media and amateur photographers. They play a vital role as their images help us identify criminals. ● We must acknowledge that citizen journalism is a feature of modern life and police officers are now photographed and filmed more than ever. ● Unnecessarily restricting photography, whether for the casual tourist or professional is unacceptable and it undermines public confidence in the police service. ● Once an image has been recorded, police can only seize the film or camera at the scene on the strictly limited grounds that it is suspected to contain evidence of a crime. Once the photographer has left the scene, police can only seize images with a court order. In the case of the media, the usual practice is to apply for a court order under the Police and Criminal Evidence Act for production of the photograph or film footage. In general under the law of the United Kingdom one cannot prevent photography of private property from a public place, and in general the right to take photographs on private land upon which permission has been obtained is similarly unrestricted. However, landowners are permitted to impose any conditions they wish upon entry to a property, such as forbidding or restricting photography. Two public locations in the UK, Trafalgar Square and Parliament Square, have a specific provision against photography for commercial purposes without the written permission of the Mayor or the Squares’ Management Team and paying a fee, and permission is needed to photograph or film for commercial purposes in the Royal Parks. Thanks for posting this video. It would be great to have a resource or print out of exactly what the laws are, showing that photography from public spaces is allowed so we all could educate the security people we encounter daily. Thank’s for posting this video and article on your site. Being hassled and threatened whilst out filming is an ongoing problem thoughout the UK. Not sure of what the situation is like in other parts of the world. Obviously the photographers and videographers in this film were prepared for meeting with security staff and I was very impressed with how cool and polite they were. I live in Horsham in West Sussex and have actually had more problems here than anywhere else. As many camera operators do I often take new bits of kit out into the street to do tests and have had police stop me outside my own house to ask the same old questions: Why are you doing this? Are you a professional? What is your name? Are you planning publish this material? The trick is to stay totally calm and polite, easier said than done, and simply state that what you are doing is entirely within the law. But as Alister points out sometimes you feel you could have handled a situation better. I was testing the autofocus out on my C300 on the main road outside my house a couple of weeks ago when a couple in a blue car slammed on their brakes, reversed back to me, wound down the window and started to have a go at me. Initially I stayed calm and pointed out that I had every right to take shots of the road and whatever is on in but lost my cool after they continued to verbally attack me ‘you need my permission to take my picture’ ‘ What if we had kiddies in the car?’ etc etc etc. I said they were welcome to call the police and asked them to stop harrasing me and that I had their numberplate details. This could help in an awkward situation and again the thing to remember is to stay calm, be polite, non-confrontational and simply state your right to be doing what you are doing. And be ready to walk away if things start getting aggressive.